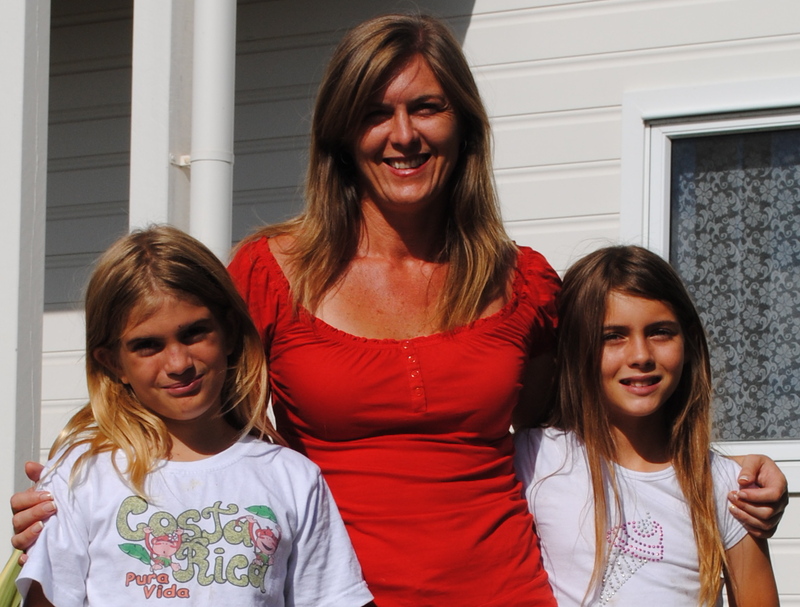 It’s my pleasure to introduct Leanne Francia, owner of Sunshine Coast Kid’s Club and her two beautiful daughters, Olivia (10) and Audrey (9). Leanne and I have both been in the same Sunshine Coast Mastermind group for around a year now but due to us both having other commitments and not able to attend on the same days it wasn’t until recently that we finally met face to face. I immediately loved her intelligence, energy, openness and obvious desire to support and bring joy to children and other adults. What was life like “before children”? I studied towards an Associate Degree in Law, Mortgage Broker Licence, Real Estate Principal’s Licence and was mainly involved in real estate, buying, building, renovating and developing property. I also set up and managed a Conveyancing Practice in NSW. Irrecognisable from life before children! Apart from starting the Sunshine Coast Kid’s Club, I have been a Life Coach with Australian Depression Institute and am currently studying a Psychology Degree full time at University of the Sunshine Coast. One of the most unexpected things about being a parent? That I would be a single parent. Any tips for family work balance? Firstly whatever time it is you have with your children if it is 2 minutes or 2 hours make it quality time. Get down on the floor and be in their world with them and have fun enjoying the moment. Secondly laugh often. One of the most unexpected things about starting a business? The high quality of people and relationships that would be built through the experience. Greatest wish for your children? That they will always be supported with wisdom, love and joy as they grow and create their own life journey. Greatest wish for your business? To bring joy to every child that attends events I am involved in. A moment you’re most proud of in the last few months? I got my motorcycle licence and went for my first trail bike ride in the bush and stayed on the whole time! One of your biggest recent challenges? Find a routine and my feet with my studies at University. Advice for those starting out in business? Seek out a mentor, check in with them regularly and be accountable to them with your business plan. A favourite resource to share? “Women Who Run with the Wolves” – Clarissa Pinkola Estees. Mobile – wherever the children and events are – and there is a small space in my lounge room (although that space is probably just as mobile in our little home)! What do you love about being in business? Learning and growth that comes from creating and seeing what works and what doesn’t. What have you found to be a myth about being in business? That you can do it alone. One of your favourite services that your business offers? Has probably been the Italian pizza and craft nights. The children make their own pizzas and while they are cooking we do some Italian craft together. Mum or dad get to enjoy a drink and conversation and everyone goes home having had fun and with a full tummy. A huge happy birthday to Leanne, she just turned 40 last week…and as us mums know you don’t always get to celebrate as planned. Leanne had received a great gift to be up in a hot air balloon for her birthday but instead was at home in quarantine as one of her daughters came down with chicken pox. She faced it as a wonderful mum though and I am sure she’ll be soaring high very soon – both physically and metaphorically! Hi, I’m Renee and I’ve been collecting ideas and information about family work balance since 2007. Is it possible to successfully juggle business and babies? To combine children and career? I believe it is, but it’s not always easy. Join us for insights and inspiration. What does gender inequality at work look like?